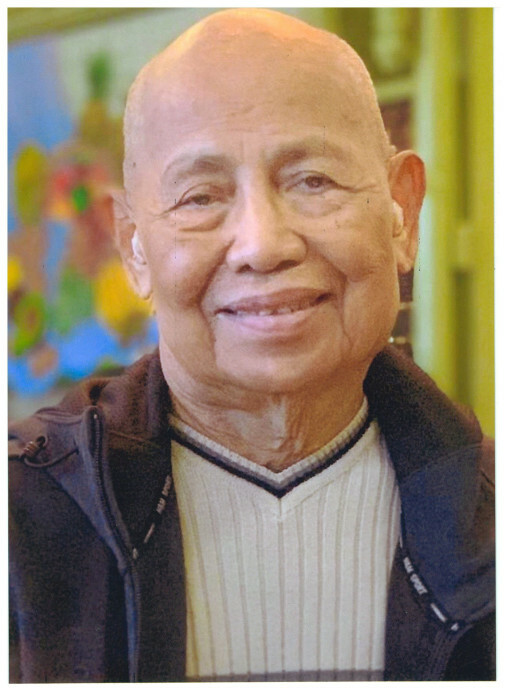 DIONISIO "DIONY" DIMAYA BAYUDAN SR., 85 of Waipahu, passed away on January 17, 2019 in Waipahu. He was born inmDingras, Ilocos Norte, Philippines. He is survived by his wife Bernardina Bayudan; son Dionisio (Sheila) Bayudan Jr.; daughter Ma. Loreta (Bernardino) Eda; brother Jose Bayudan; son in law Nicasio Magtoto; grandchildren Nikko Magtoto, Nerissa Magtoto, Brandon Bayudan. He is preceded by his daughter Ma. Luisa Magtoto. Wake will be 5:30 pm Wednesday February 27, 2019 at Mililani Memorial Park's Makai Chapel. Prayer service and family program to follow at 6:30 pm. Visitation will be 10:00 am Thursday February 28, 2019 at St. Joseph Catholic Church. Mass to follow at 11:00 am. Burial will be 12:30 pm that day at Mililani Memorial Park's cemetery.